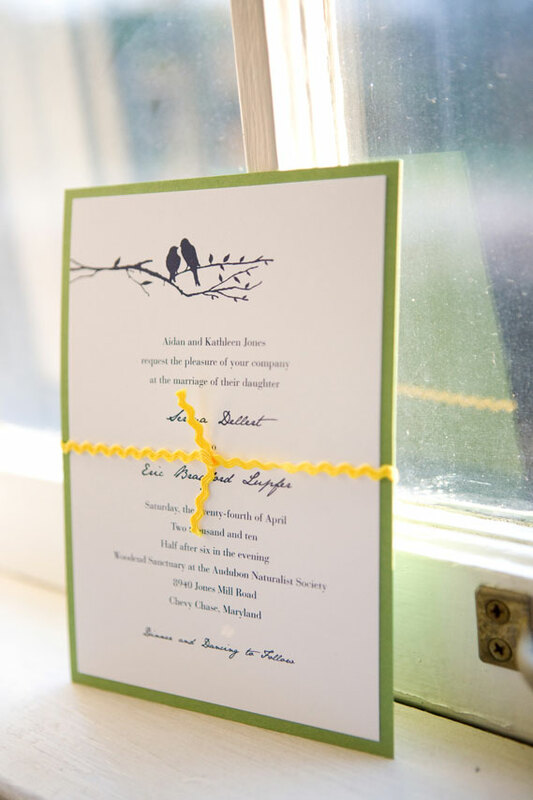 this stylish city bride had a lovely spring palette of yellow, navy blue and clover green with an avian theme for her wedding at the audubon naturalist society. 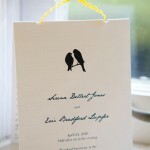 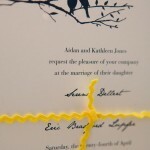 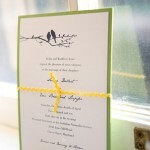 the invitation parcels were tied with yellow rick-rack and placed into green envelopes hand-lined with a canary yellow print and affixed with a custom address label. 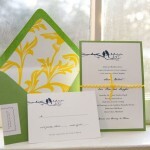 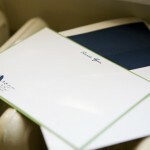 programs and thank you notes were designed to tie in with the wedding invitation and colors.